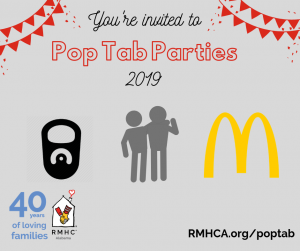 Ronald McDonald House Charities of Alabama is excited to announce a new way to fundraise and support keeping families close! 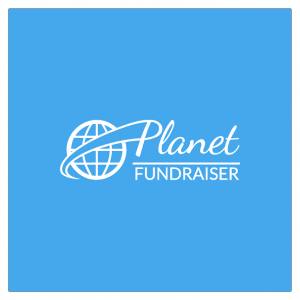 We have joined up with Planet Fundraiser, a free mobile app that makes your everyday shopping trip turn into an easy way to fundraise! What do you have to do to help out?? Not much. Download the Planet Fundraiser app from the Apple App Store or from Google Play and get started. When the app is installed on your mobile device, you will be prompted to select a CAMPAIGN and a GROUP. Select “Ronald McDonald House Charities of Alabama” from both lists. After this step is complete, you will see a list of merchants near you! When you shop at any of these local stores, save your receipt and submit a picture of it — that’s it! It’s that easy!! Each merchant shows what percentage they donate back to the charity you selected to fundraise during the registration process. There are new merchants being added all the time, but right now, you can shop at Piggly Wiggly, Mountain High Outfitters, BamaWise, Complete Cleaners and many others. RMHCA is so excited about this partnership and cannot wait to see what your “everyday purchases” can raise! 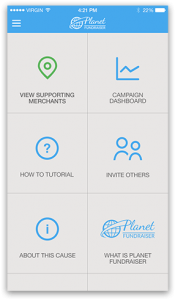 *Please refer to Planet Fundraiser for full details and percentage from each merchant.